The trees are looking bare and the frost and fog is beginning to set in, meaning that winter is well on its way. We’re sure everyone is looking forward to some cosy nights on the sofa, but for those of you with an outdoor oil storage tank, there are a few jobs to do before wrapping up with a mug of hot chocolate. Now is the perfect time of year to conduct a bit of tank maintenance, as if you haven’t already received your winter oil delivery it’s likely that you are planning to soon. Delivery is a prime time for leakages and spills, so it’s worth taking a few simple precautions to keep your oil supply safe and secure over winter. 1 – Check the location of your tank. Is the ground underneath your tank still level and supportive? Will it be easy for your supplier to access the tank to fill it? Winter is the most likely time of year for tanks to sustain damage as heavy rain, wind and snow can bring down overhanging branches and blow larger items into its sides. Take some time to cut back trees and hedges, secure any loose objects in your yard and clear away any build-up of leaves and rubbish. 2 – Inspect the tank itself. Perform a full tank inspection to check that its condition will withstand the winter. Look out for cracks, bulges and rust, all of which can worsen in rain and frost, compromising your tank’s integrity. If you notice any damage you should call us as soon as possible for an emergency repair or replacement – it’s simply not worth risking a spill, particularly when you’ve just topped up for the season! 3 – Pay attention to potential leaks. Mist, frost, drizzle and outright downpours seem to keep the ground almost constantly wet during winter, which can make it much harder to notice rogue oil spots. Take extra care to look for oil stains and fresh marks that could indicate a leak. 4 – Don’t forget the bund! Bunded oil tanks are designed to contain any spillages that might occur, and should be able to hold at least 110% of the tank’s capacity. Of course, water has made its way into the bund during a heavy storm, it will not be able to contain all of your oil in the event of a spill, rendering it useless (the same goes for spill pallets). Check that your bund is empty and if it isn’t, dispose of excess water appropriately – read our last blog post for details about how to do so. As everyone tends to top their tank up in preparation for winter, oil theft becomes much more common. Be extra vigilant with your storage tank security, making sure that locks are working properly and installing a security light if you don’t already have one. 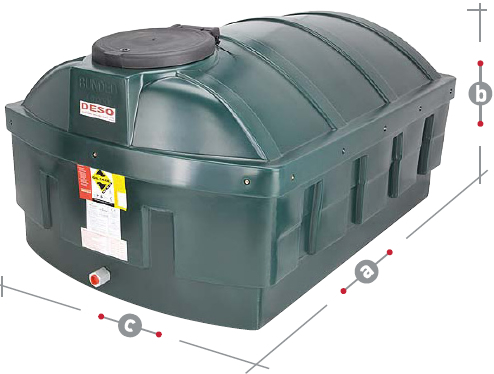 Routine tank maintenance is essential for maximising the lifetime of your oil storage tank, so even when it’s cold and rainy, don’t forget to check on it over winter. If you have any concerns about your tank or would like more advice about how to look after it, we would be happy to help. 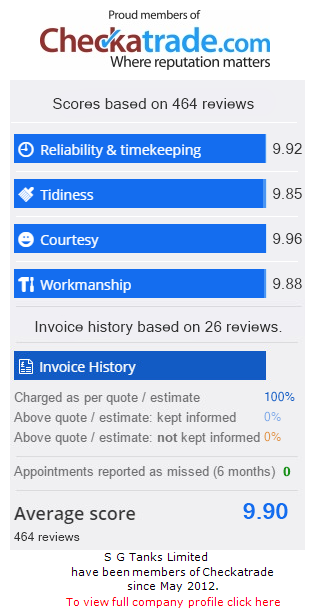 Give us a call on 01903 856403, or submit an enquiry using the form on the side of this page.